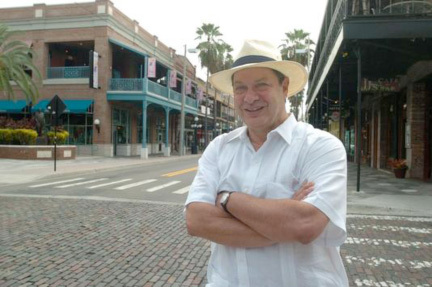 Lonnie Herman lost his job with a home builder 2½ years ago and founded Ybor City Historic Walking Tours a year ago, leading tourists around the old shotgun housing of cigar workers. He says he wants to add an evening ghost tour — and a part-timer to lead them — but doesn’t expect to add other employees in the near term. When Florida and the nation really start growing again, small entrepreneurs might lead the way. In fact, the United States would have lost jobs during the 2000s were it not for the risk-taking of startup businesses, according to the Ewing Marion Kauffman Foundation, an entrepreneurship think tank. Today, though, startups are creating fewer jobs overall than years ago. Individual startups are launching with fewer employees, on average. And they’re growing more slowly. The trends go back at least a decade, so you can’t just chalk them up to the Great Recession, according to the Kauffman Foundation. That means Florida may be under greater pressure than ever to launch new businesses and help existing ones grow. Lonnie Herman is among the new entrepreneurs. He lost his job with a home builder 2½ years ago and founded Ybor City Historic Walking Tours a year ago. He leads tourists around the old shotgun houses of cigar workers and speaks of the Tampa mafia’s glory days. Today, Herman makes only a quarter of his previous salary in the housing business, but he hopes to expand. In the mid-1990s, for example, new business establishments created more than 4 million employees each year, the Kauffman Foundation said, using data from the U.S. Bureau of Labor Statistics. Their employment peaked at 4.6 million people in 2000. But that has fallen steadily for the past two decades. Today, new business establishments create only about 2.5 million positions per year. Entrepreneurs also are hiring fewer people at the outset. New business establishments used to launch with more than seven employees apiece in 1990s, but that steadily fell in the 2000s. Today, new establishments launch with fewer than five employees, Kauffman Foundation data show. That trend holds for Florida, too. Changes in America’s workforce and its economy are behind the trend, according to Brian Headd, an economist with the U.S. Small Business Administration. The country’s workforce is aging, and people in their late 50s and 60s are more likely to launch small businesses as a semi-retirement hobby, he said. These businesses likely never will be big employers. Now 60, Herman dreamed up his Ybor City tours last year while walking the historic squares of Savannah, Ga., and listening to a tour operator. Why not do this in Ybor?, he thought. His old college degree in English didn’t leave him with many options in this economy, he said. Today, he’s planning to hire a part-timer to give nightly ghost tours of Ybor, but he never expects to grow very big. Exacerbating the hiring slowdown is America’s shift toward the service industry and away from manufacturing. Service businesses need fewer employees than manufacturers, said Headd, the SBA economist. He didn’t mention technology as a factor, but one longtime local banker says companies simply need fewer people nowadays. Monty Weigel helped found a downtown Tampa bank startup, NorthStar Bank, in 2007. It has a single branch and 17 employees. All these issues may be even more important to Florida than the rest of the United States. Florida tends to rely more heavily on small businesses and startup businesses because it has relatively few major corporations, said David Denslow, an economist at the University of Florida. The real estate and banking crises hit Florida startups especially hard because so many of them depended on second mortgages for their capital, Denslow said. That option is no longer available.